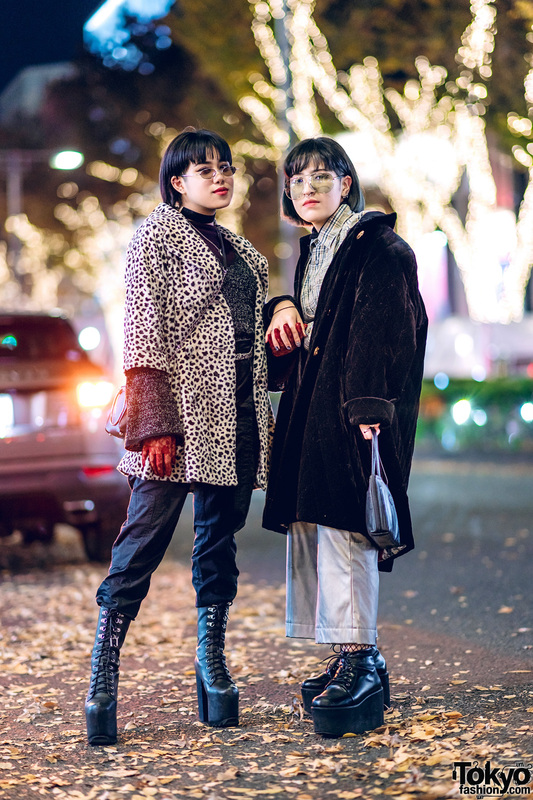 We bumped into Najwa and Obe, two teens whose stylish winter ensembles easily caught our eye on the Harajuku street. 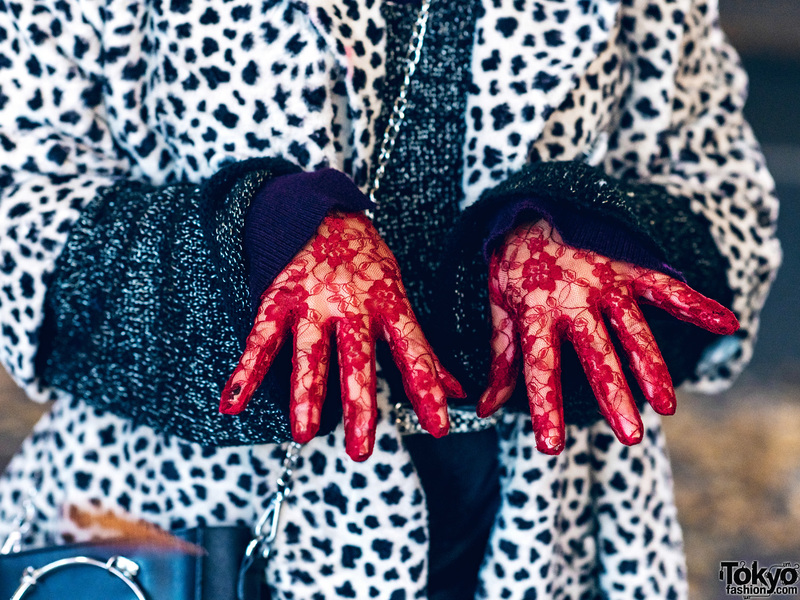 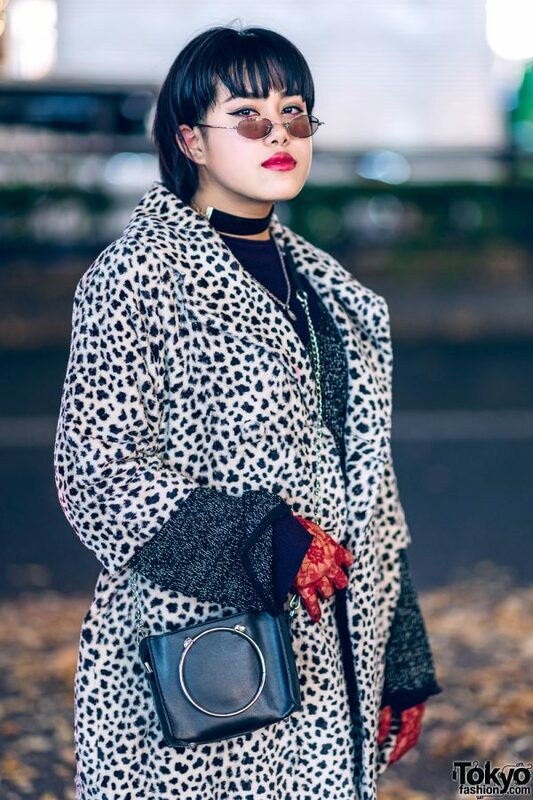 Najwa – an 18-year-old student – is wearing a resale leopard print jacket, worn over layers consisting of a dark blue ribbed sweater and a black-and-white knit sweater with flared cuffs, both of which are from Zara and Forever21. 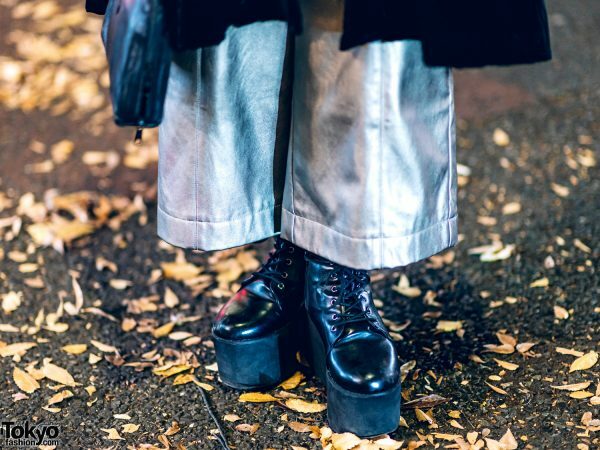 She tucked in her layered tops into black parachute pants from San To Nibun No Ichi, then tucked the ends of her pants into black platform lace-up booties from Dolls Kill. 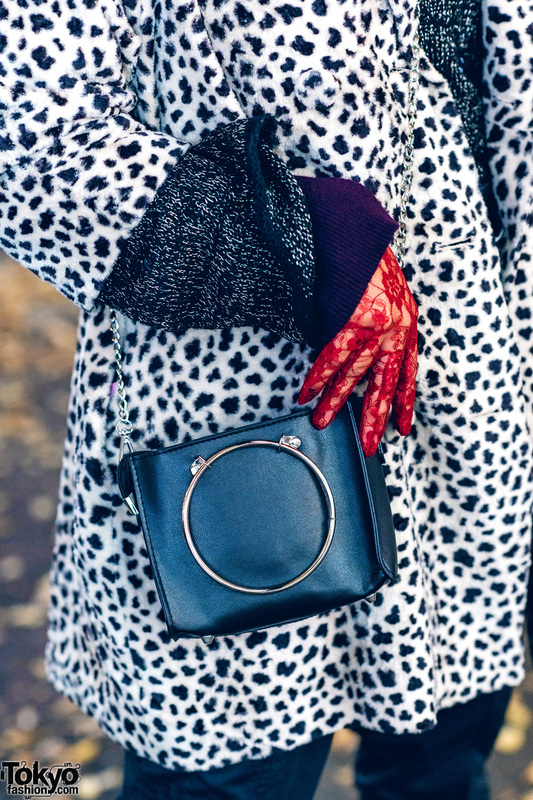 Her accessories – mostly from Oh Pearl – include multiple ear studs, sunglasses, a black velvet choker layered with a silver pendant necklace, and red lace gloves. 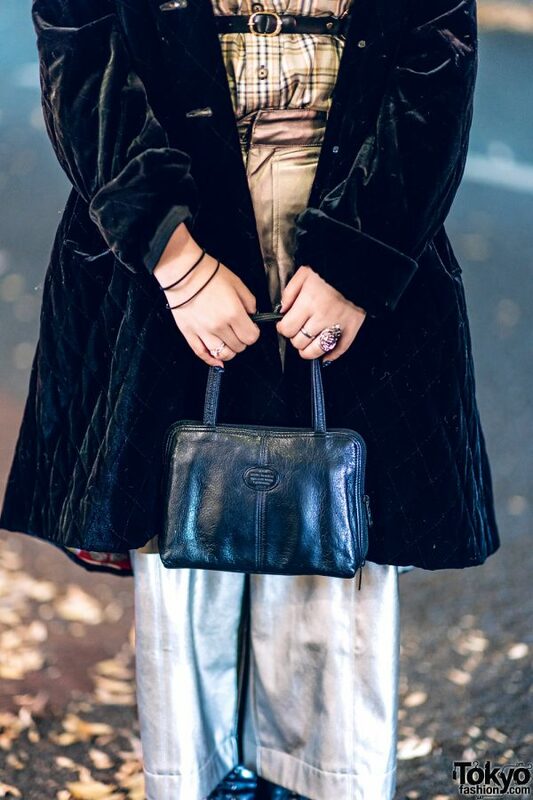 In addition, Najwa is carrying a resale black chain sling bag with a silver o-ring accent. 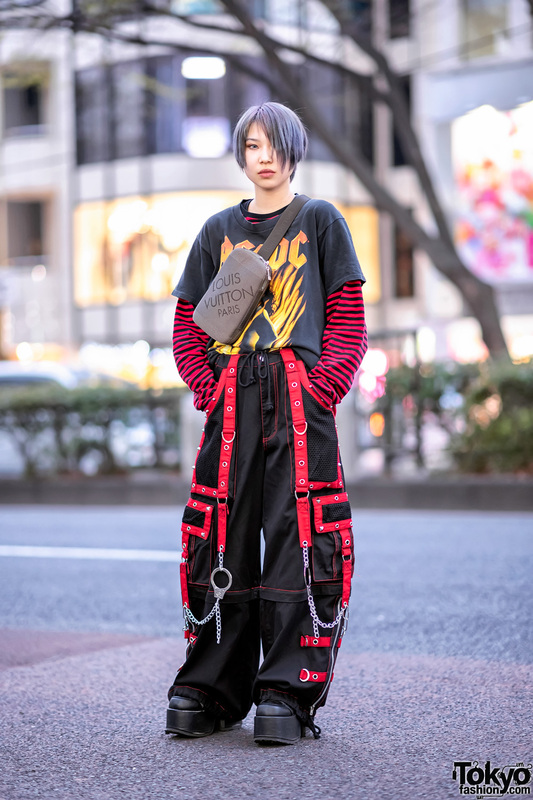 John Lawrence Sullivan is Najwa’s fashion favorite, and she listens to the music of Japanese rapper, Awich. For more of Najwa, follow her social media updates on Instagram and Twitter. 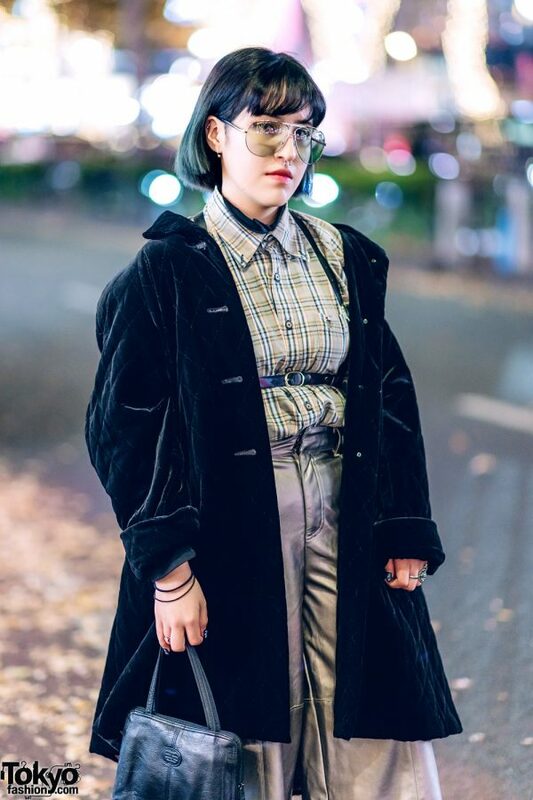 Meanwhile, Obe’s ensemble consists of resale items, featuring a black quilted velvet coat and a green plaid button up shirt, which she tucked into a pair of silver cropped pants. Black fishnet socks, resale platform lace-up boots, and a resale black handbag rounded out her style. 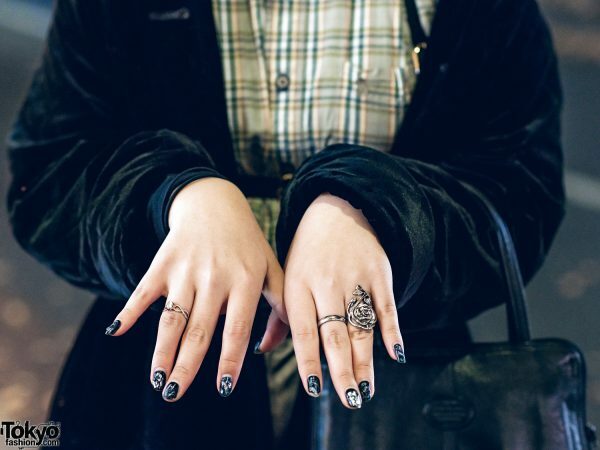 Accessories such as light-tinted aviator sunglasses, ear studs and hoop earrings, a septum ring, a thin black leather harness, and multiple rings are the finishing touches to her look. Gucci and Kenzo are two of Obe’s favorite fashion labels, and she likes the music of Ziyoou-Vachi. 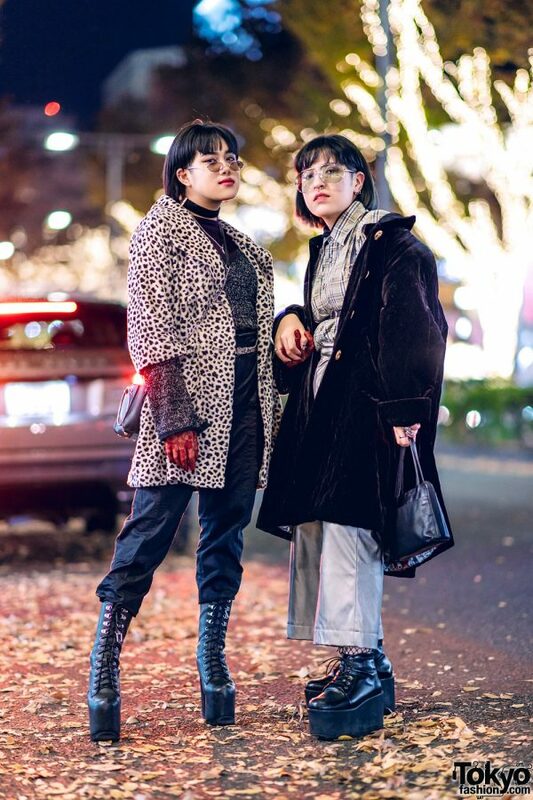 18-year-old Obe is also active on Instagram.